In the 150-strong crowd at a public forum held in Nee Soon yesterday to discuss this year's Budget, one woman stood out. 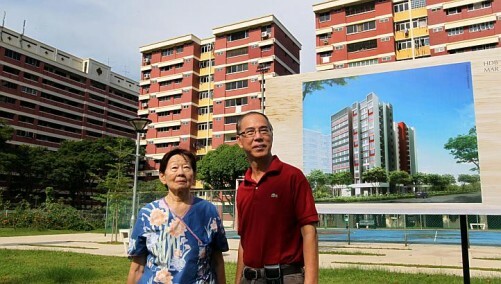 She was the lone housewife, among about 30 in the audience, who raised her hand when Nee Soon GRC MP Lee Bee Wah did a poll of non-working women whose husbands topped up their Central Provident Fund (CPF) accounts. Concerned by the low CPF balances of these women, Ms Lee encouraged the other housewives to ask for CPF top-ups from their husbands, so as to make full use of the higher interest rates announced in the Budget statement last month. From next year, those aged 55 and above can earn an extra 1 percentage point of interest for the first $30,000 in their combined CPF balances. That means monies in a person's Special, Retirement or Medisave account can attract interest rates of up to 6 per cent. "Tonight you can go back, discuss with your husband and tell him that for the first $30,000 in your CPF account, you will get 6 per cent interest. Discuss that maybe it's better to put money into your CPF account," said Ms Lee. She noted that banks' interest rates are less than 1 per cent. Foreign Affairs and Law Minister K. Shanmugam, also a Nee Soon GRC MP, echoed the call to add to the CPF accounts of non-working family members. "If you don't have enough, at least the family can contribute. The Government is giving you 6 per cent," he told reporters. The argument seemed to convince participants at yesterday's forum, organised by the grassroots Women's Executive Committees in Nee Soon GRC and held at Nee Soon South Community Club to mark International Women's Day. Said Ms Jeya Gowrie, 48: "I think husbands should put the money in (our CPF). We make all these sacrifices for our families." She stopped working as a full-time lawyer 10 years ago to care for her three children, now aged between 11 and 17, and has found it hard to get even part-time jobs since. She has $30,000 in her CPF account from four years of full-time work, but will talk to her husband about top-ups, she said. Ms Lee later told reporters that after the talk, some women approached her to ask how their husbands can top up their accounts. "I'm sure some of them will top up if they know they'll get a 6 per cent interest rate," she said. Another question aired at the forum was by administrative assistant Tan Yu Na, 30, who wanted to know what benefits stay-at-home mothers received from the Budget. In response, Mr Shanmugam brought up the $500 in SkillsFuture Credits each Singaporean aged 25 and above will get to pay for courses. SkillsFuture has also been lauded by women MPs, who see the scheme as helping women return to the workforce after leaving to take care of their families. In a separate statement yesterday, the People's Action Party Women's Wing said it will commit resources to publicise SkillsFuture. Minister in the Prime Minister's Office Grace Fu, who chairs the group, said the scheme "will empower women and enable them to realise their potential in the multiple roles that they play in the family and the society".